A gothic adventure featuring a wondering minstrel. Black Bard, a wondering minstrel in gothic garb, travels a fantastical world of adventure, battling foes and saving strangers in distress. But what is the mystery that lies in this troubled troubador's past? Drama, music and magic follow the adventures of Black Bard. Ichiya Sazanami won the Media Factory Manga Award 2011. 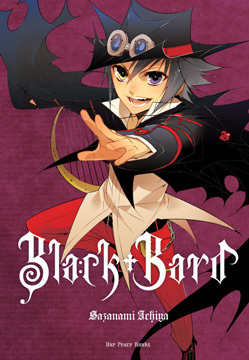 He went on to debut in the Japanese manga world with his first title, Black Bard.